Two young innkeepers, Alex and Rolly, are struggling to make a success of a once-elegant hostelry in the Hamptons, but it's tough, especially with the owner Lucinda Pickle breathing down their necks. 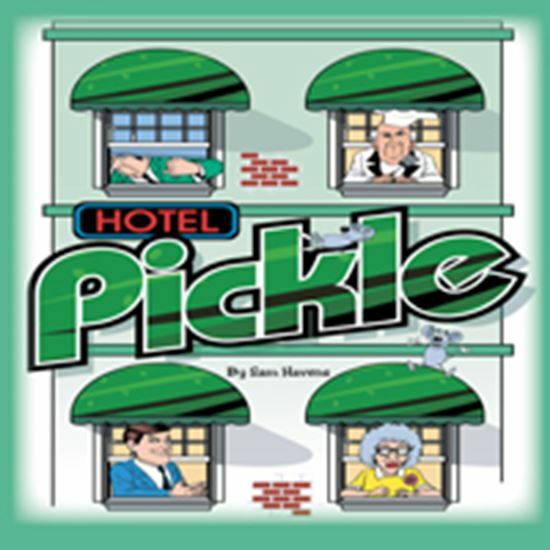 Of course it doesn't help that the hotel's permanent resident, Mrs. Prescott, collects pet mice; that the hotel chef, Cookie, is given to bursting into tears and resigning; and that a petty criminal, Willis the pickpocket, is looking for a place to hide out. When Hollywood horror movie producer Julian K. Silverblatt checks in with his vain bodyguard and his sneezing secretary, things really go nuts. Add two romance plots and soon everything spins out of control. Gunshots, UFO sightings, characters falling off of roofs, chef's hats catching flame, escaping mice and, of course, lots of flying doors make this play winningly clever and chaotic.